Panoptic was founded to bring a service offering to personal injury attorneys that mutually benefits the claimant. We help attorneys close more cases by taking specific time-consuming activities off their plate, while providing an unprecedented fiduciary standard to the claimant through our settlement planning process. Panoptic Settlement Solutions is the successor to the traditional, single product, settlement industry. Through technology, innovation and service we will help your firm close cases more efficiently and send your clients away feeling made whole again. Nathan serves Panoptic Settlement Solutions as Managing Partner residing in Somerset, KY. In addition to Panoptic Settlement Solutions, Nathan serves as Managing Partner and Chief Compliance Officer for Panoptic Financial Group, a Registered Investment Advisor, offering financial planning and investment services. Nathan consults attorneys and their clients across the state of Kentucky and select areas outside of the state. Nathan graduated from Western Kentucky University in 2011 with a Finance degree. He declined to follow the typical career launching pad of becoming a financial advisor for a Wall Street firm. Instead, Nathan landed a position with a firm that provided operating capital to PI Attorneys and their clients. Soon he developed a passion for solving the financial uncertainties that stymied claimants at settlement. In 2014, Nathan co-founded Panoptic Settlement Solutions, LLC, to deliver non-legal advisory services to attorneys throughout the litigation process while providing a single point of contact to addressing the financial concerns of claimants. Today Panoptic specializes in solving complex problems that perplex attorneys and claimants throughout the litigation process. Chris dually serves Panoptic Settlement Solutions as VP Sales & Marketing, along with Panoptic Financial Group. 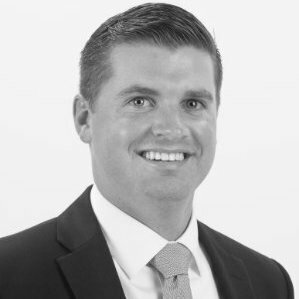 In addition to Panoptic, Chris is a Sales Executive-in-Residence for Western Kentucky University and a facilitator for a consulting firm primarily working with asset management firms. Chris graduated from US Air Force Academy with a BS and obtained his MBA at Vanderbilt University. Chris brings a diverse and tenured career to Panoptic with experience in both finance and sales consulting.